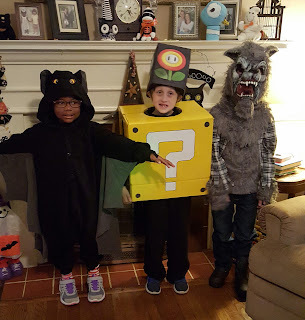 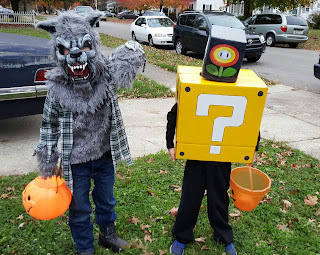 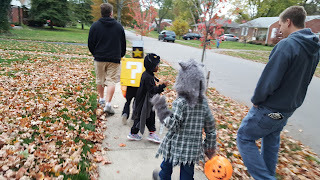 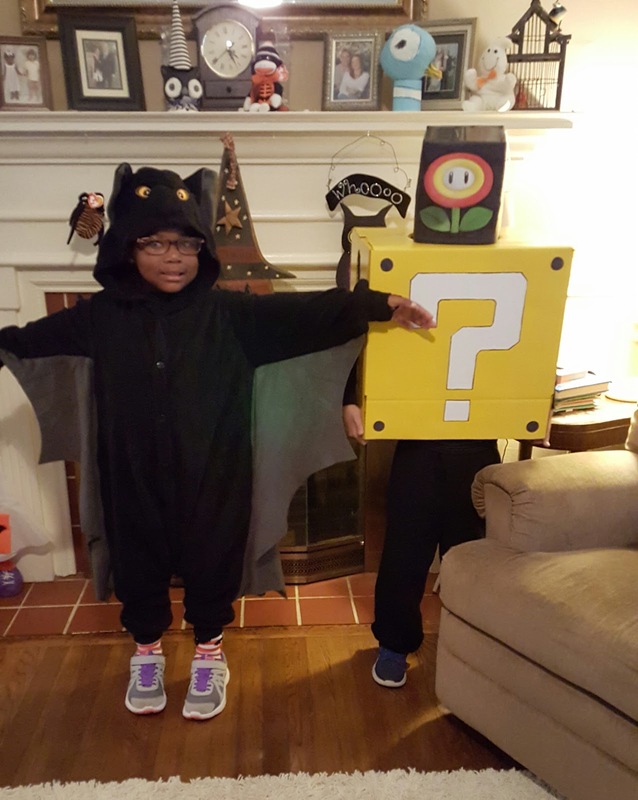 I give to you a bat, a Mario question box, and a warewolf! 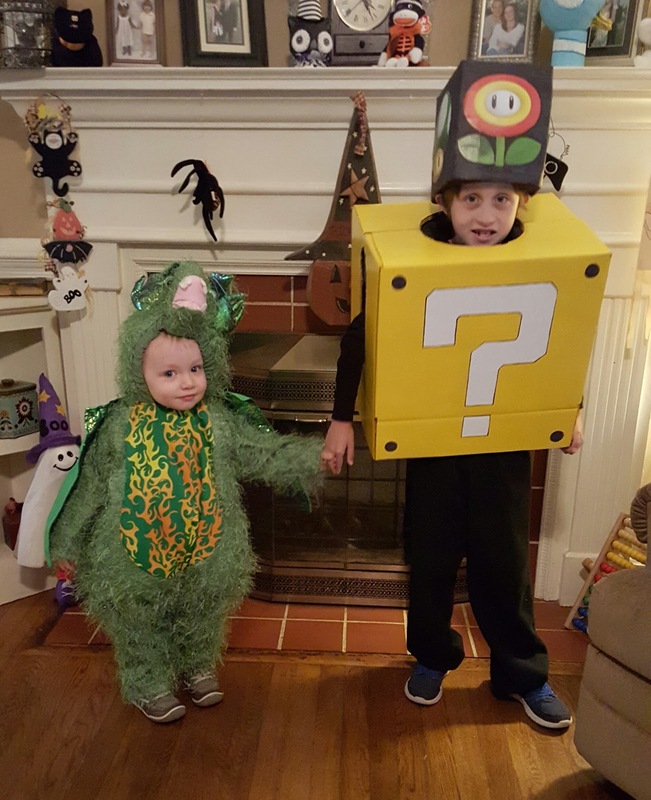 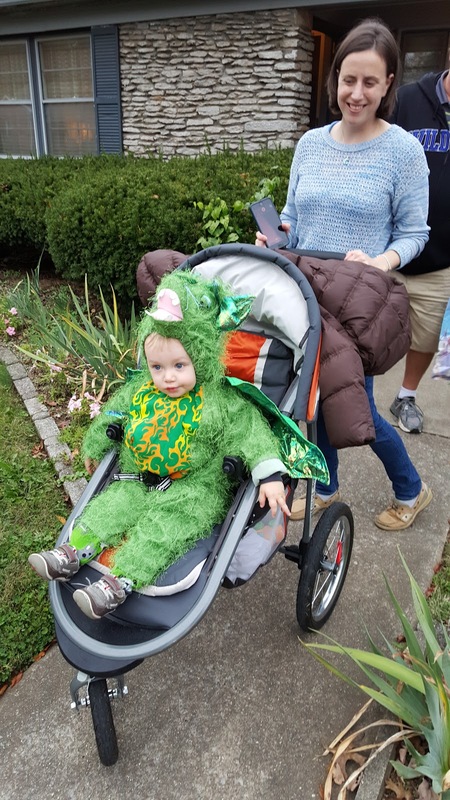 Seriously, how cute is Henry's costume? 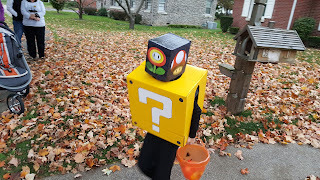 Most of the people knew what he was but he definently had a couple people confused. One said "Oh Look! He is cheese!!" 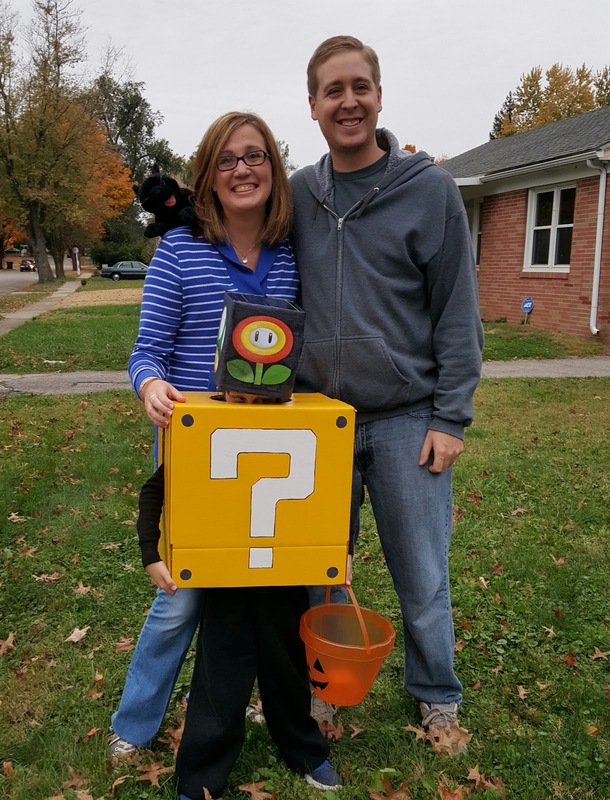 Which keeps making me laugh when I think about it. The kids had a blast and so did the parents. 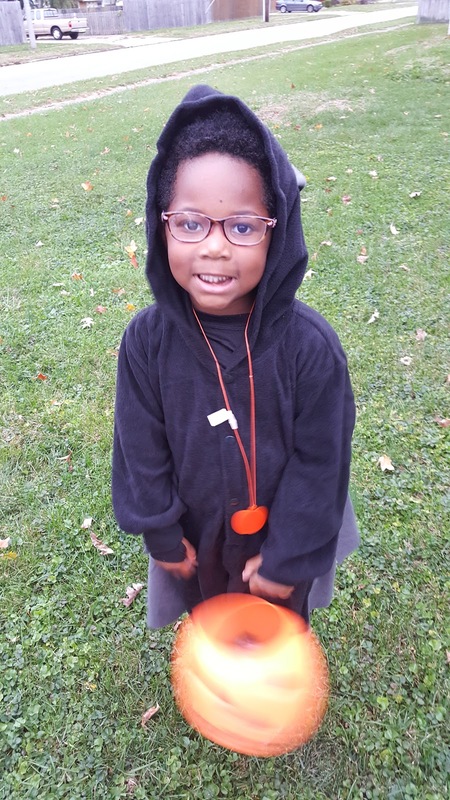 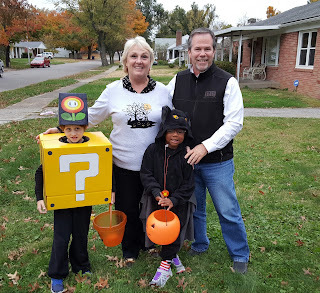 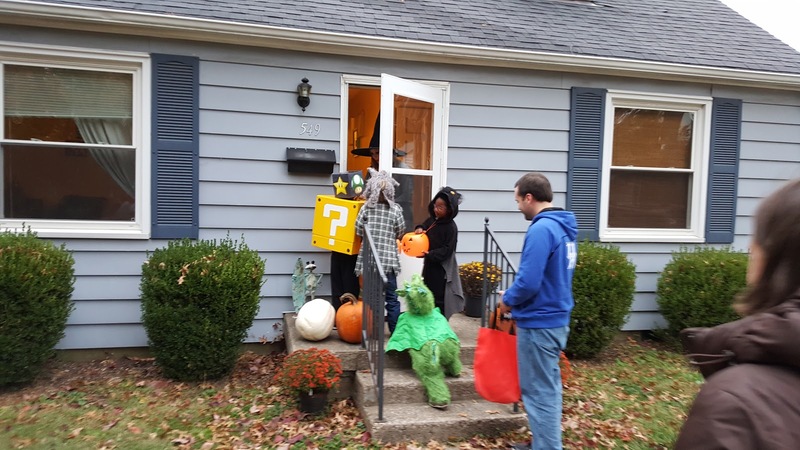 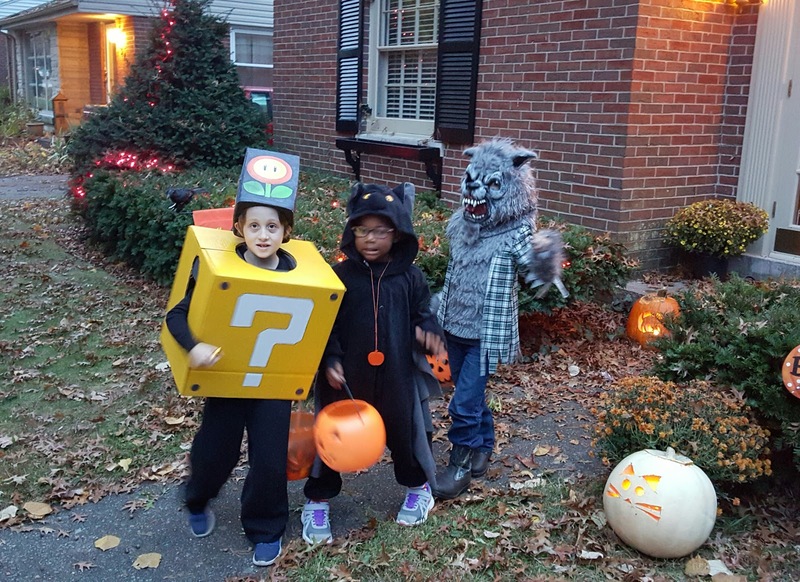 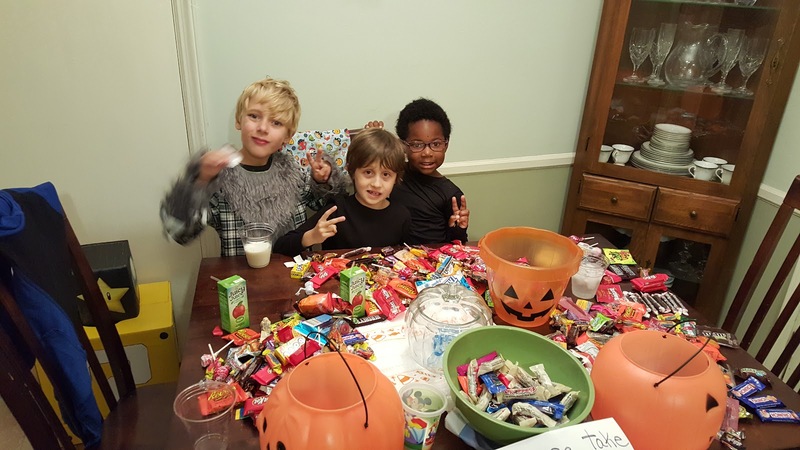 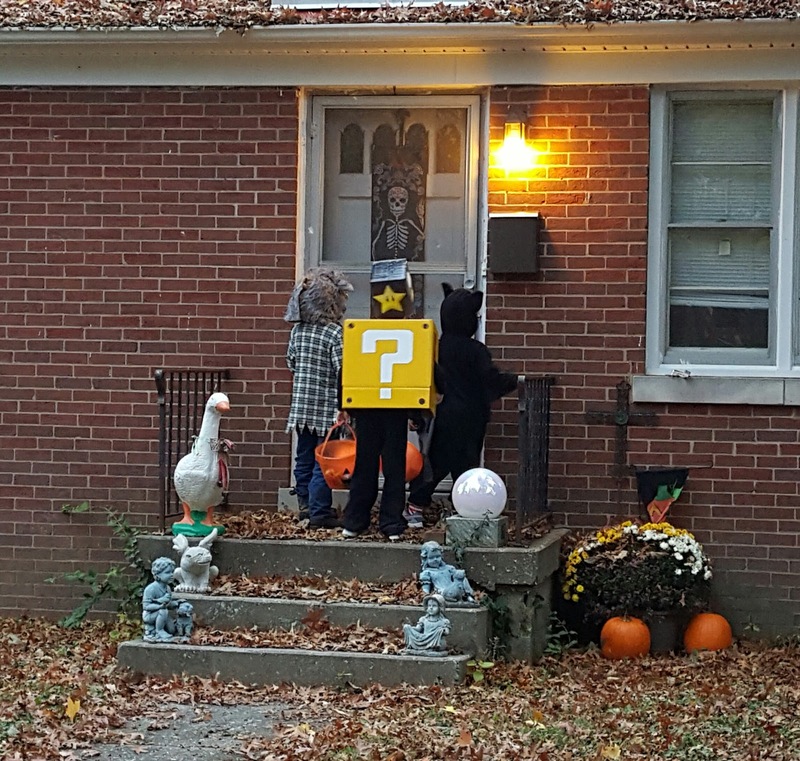 All around, a great Halloween!